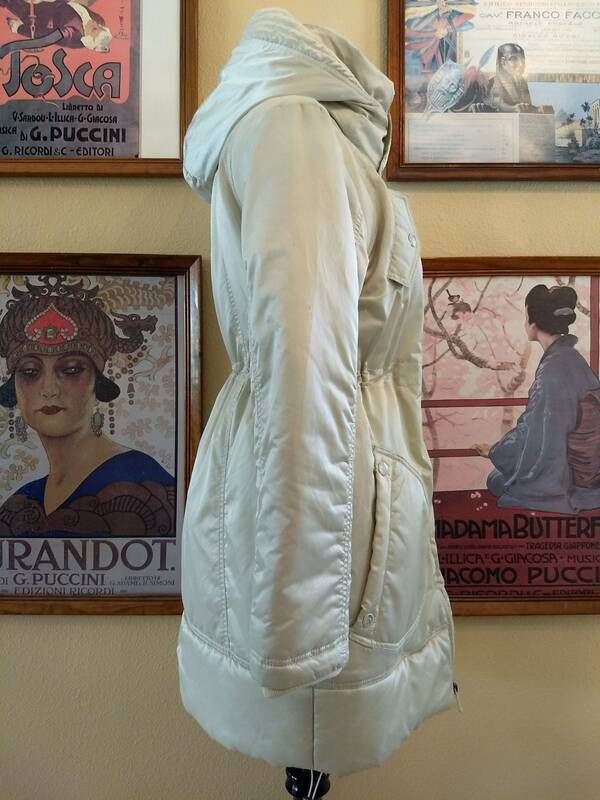 Gorgeous Diesel Pearl White Puffer Coat,size Small. 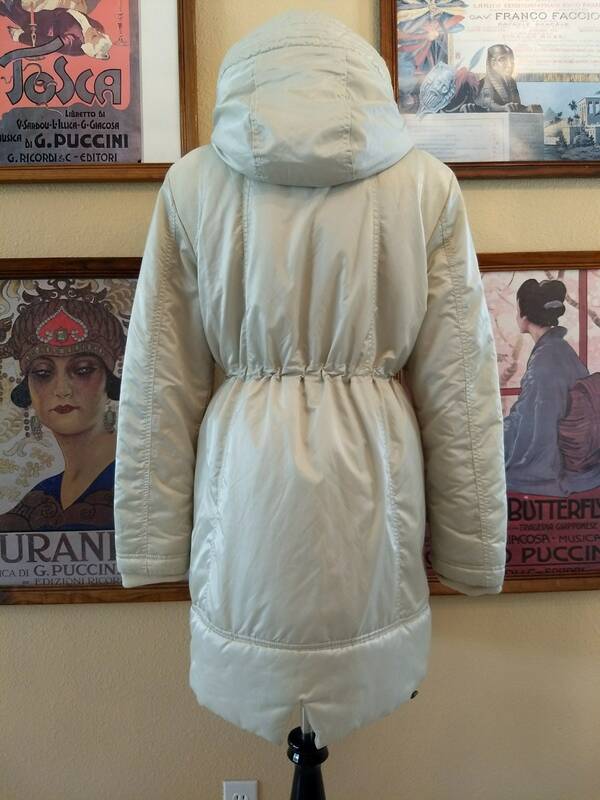 This is an adorable coat,stylish and practical for the coming cold weather. 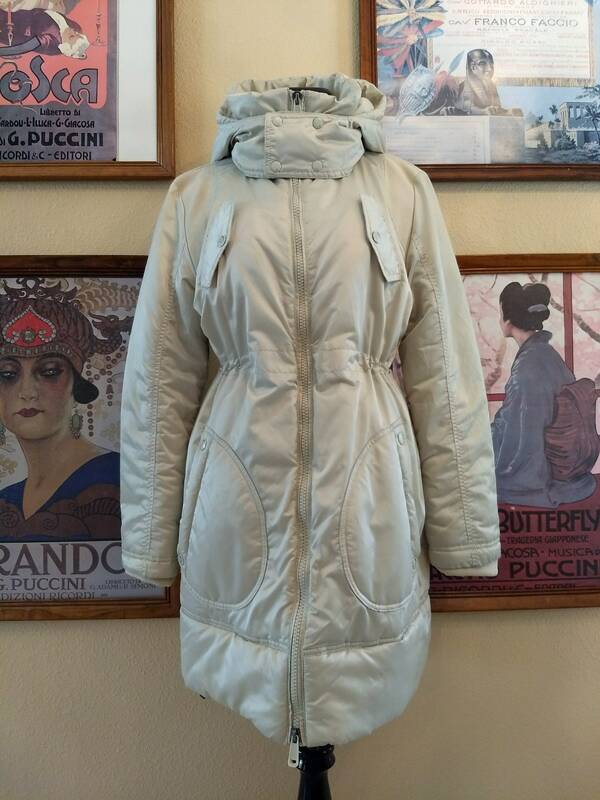 It is a nylon/polyester blend,a lovely pearl white color.soft to the touch and has a full two way zipper up the front with a four snap enclosure at the neckline for extra warmth. 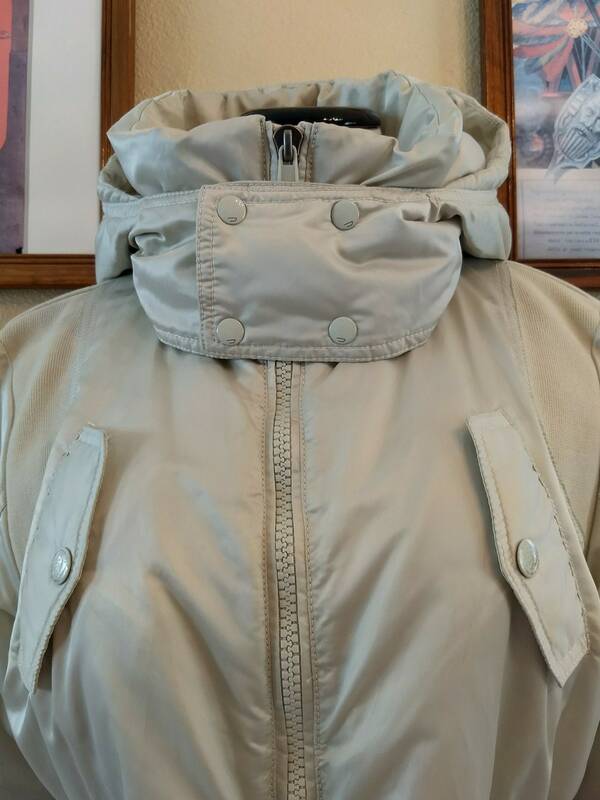 It features two large deep pockets on each side and two small snap pockets over both sides of the chest area.It has a hood which can be detached. 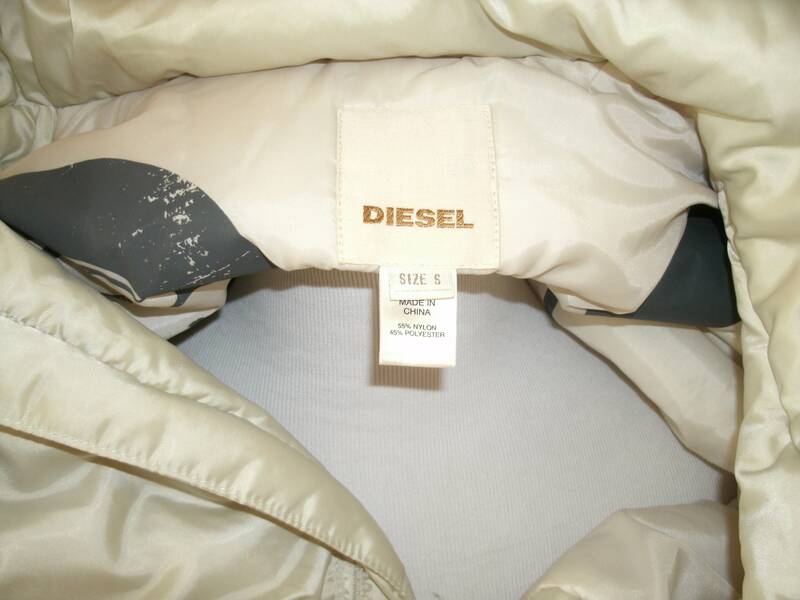 The label reads Diesel,size small and this coat is in very good/excellent condition.